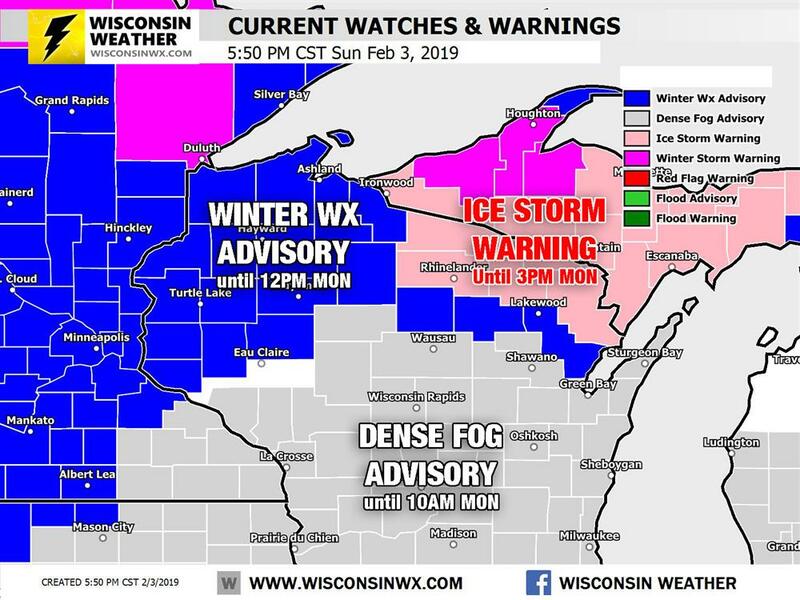 A low pressure system will move through Wisconsin Monday morning bringing a variety of precipitation types to the state. Freezing rain appears likely across the U.P of Michigan including portions of northeast Wisconsin Monday morning. 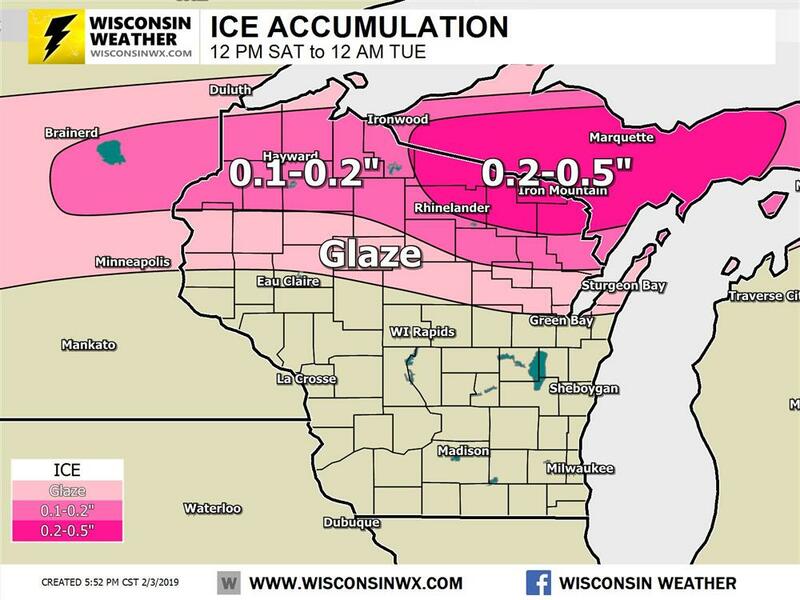 Ice accumulation of up to ~0.5" will be possible. Light freezing rain is possible across the advisory area into Minnesota in addition to light snow accumulations of 1-3" generally north of Hayward. Freezing rain accumulations up to around 0.5" possible in far northeast Wisconsin and the Upper Penisula. Mainly rain showers are expected across the southern two-thirds of Wisconsin in addition to fog.